PhD in economics at Sankt Gallen University. 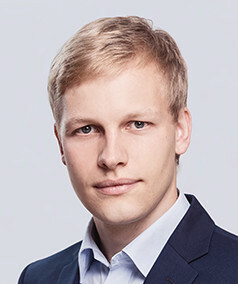 A graduate of the Warsaw School of Economics in the field of economics (bachelor and master studies). In his PhD thesis he was analysing behaviour of households characterized by different levels of human capital and different stocks of liquid and illiquid assets. Moreover, he was comparing an impact of the Swiss, German and Polish fiscal rules on deficits and accumulation of the public debt. In the Institute for Structural Research he is mainly responsible for preparation of models projecting demand and supply of labour in Poland. Besides, he is a fan of long-distance running and Polish literature of the Positivism era.